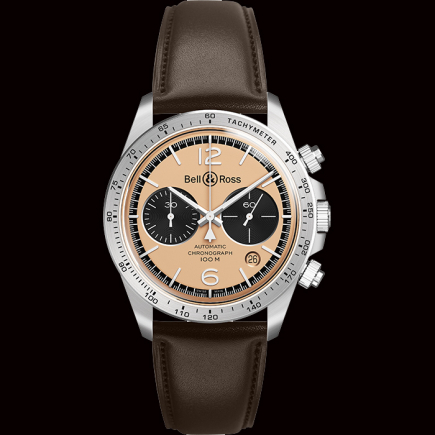 Bell & Ross | 350'000 € Tax inc. 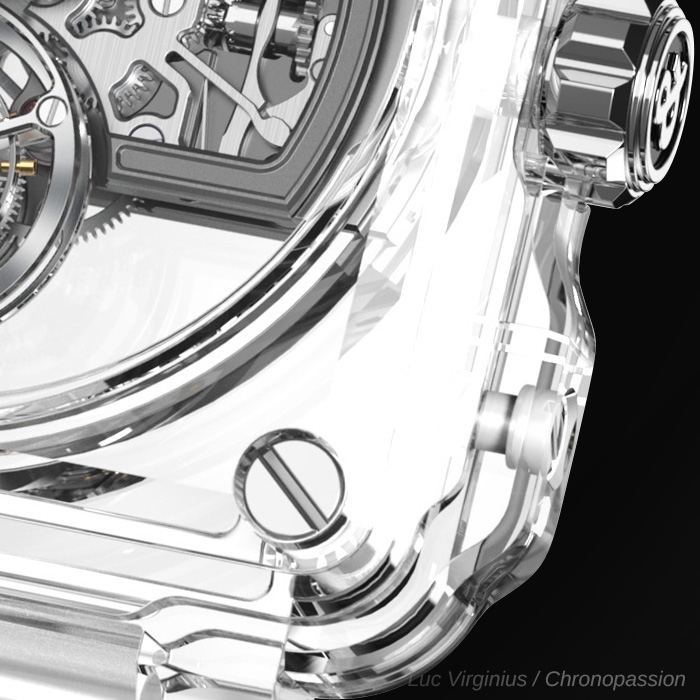 The launch of the BR-X1 CHRONOGRAPH TOURBILLON SAPPHIRE last year marked a new chapter in the Bell & Ross saga. 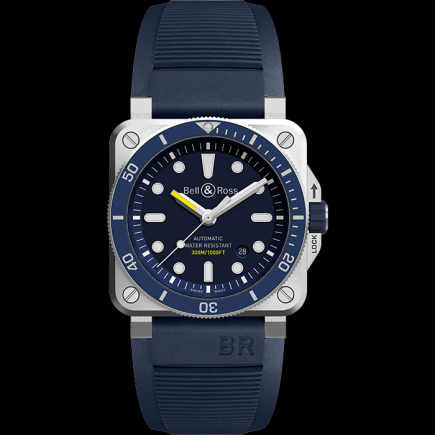 A new watchmaking adventure that emphasizes concepts like high-tech, creativity, superior mechanical performance and, therefore, seduction. 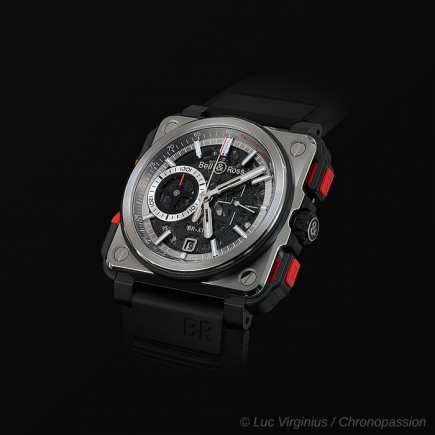 Today, Bell & Ross continues to stretch the boundaries of fine watchmaking by creating an exceptional new model, the BR-X1 that takes the challenge of transparency to the extreme. In addition to its top performance, the sapphire gives it uniqueness and beauty. 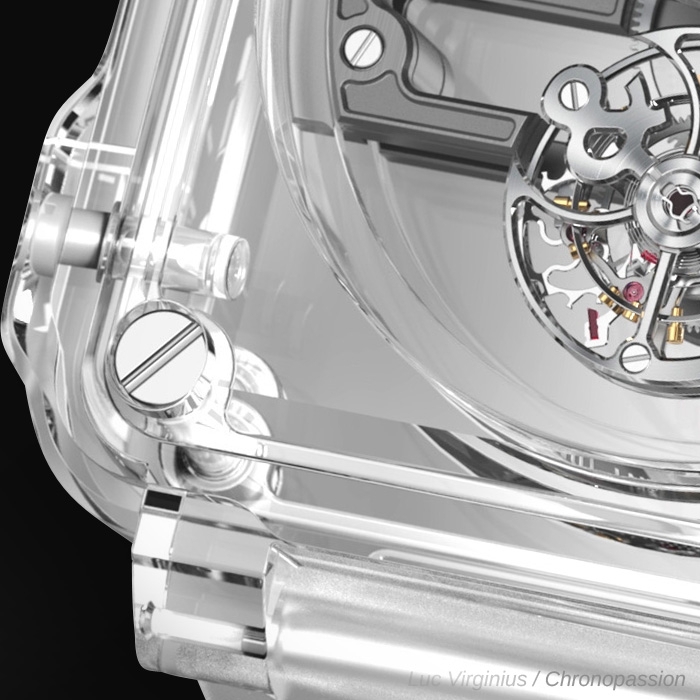 The sapphire case is a bit like an X-ray image that lets us visualize its structure and understand its assembly by allowing the eyes to gaze freely into the heart of the movement. 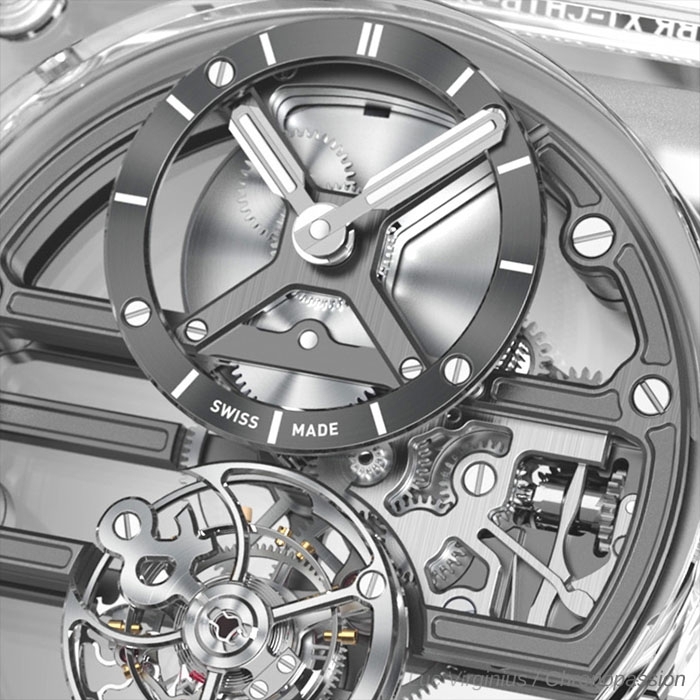 By revealing the soul of this one-of-a-kind watch, the spectacle becomes magical. 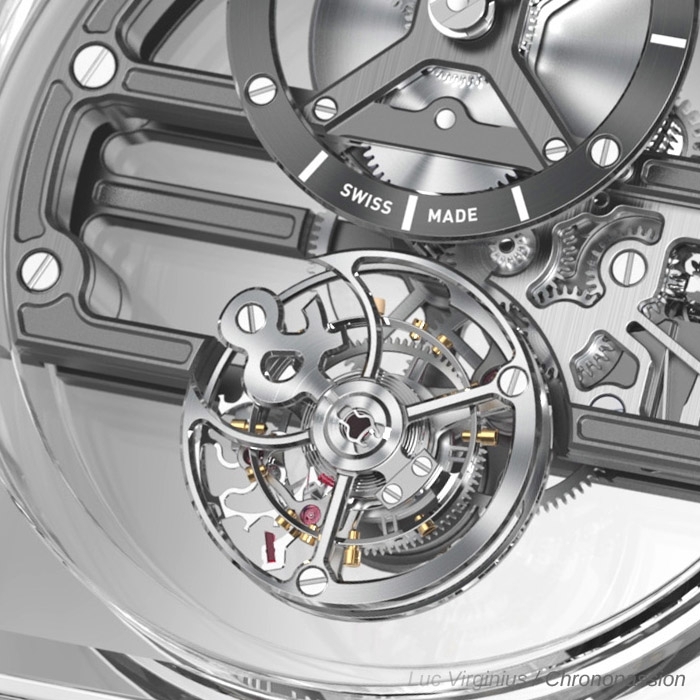 The hour counter is off-centered and positioned above the barrel for releasing the tourbillon’s cage and further revealing the mechanical beauty of the movement. 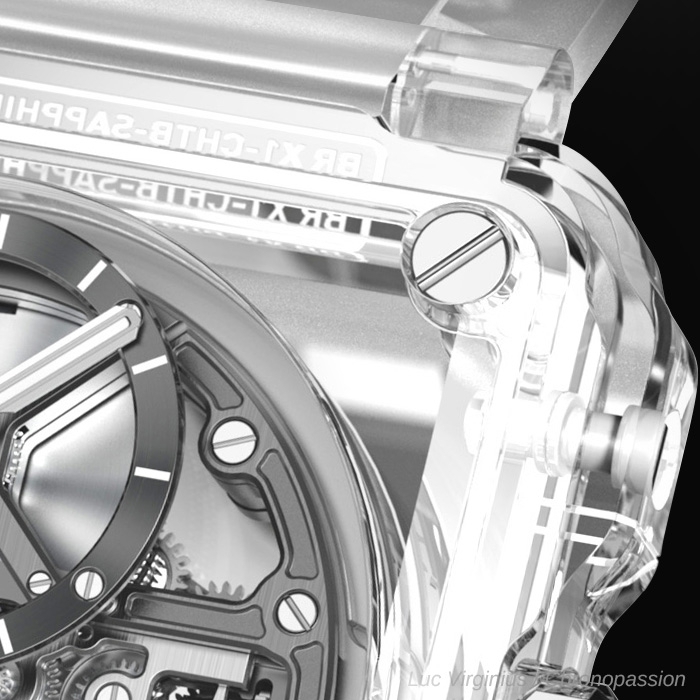 Bell & Ross has designed a flying tourbillon that seems to float in weightlessness. 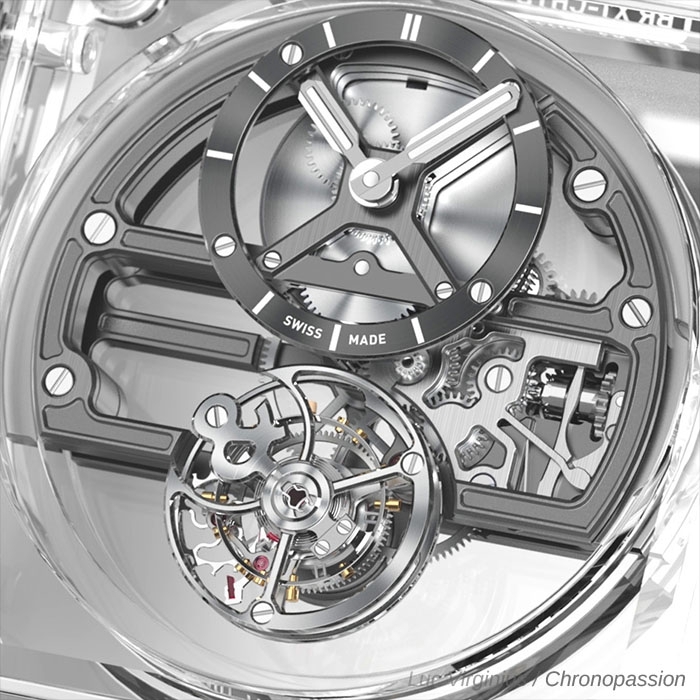 This gives the powerful timepiece even more magic. 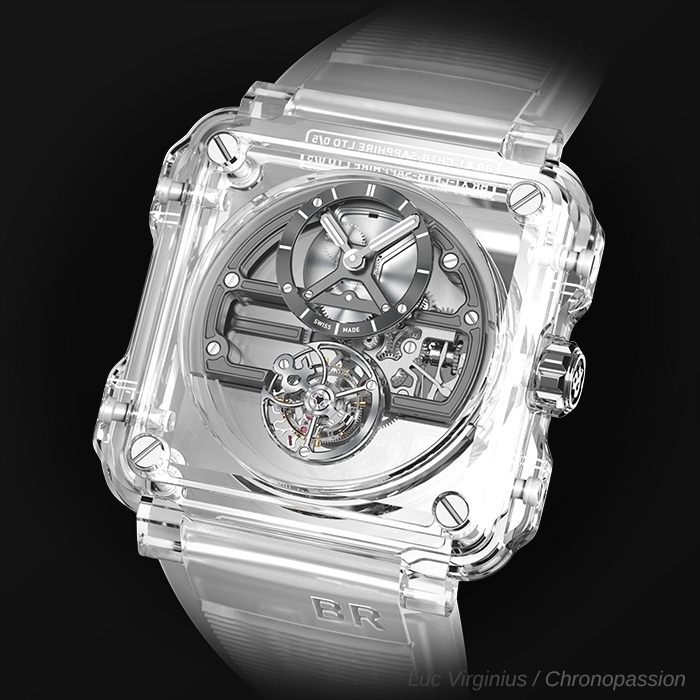 Heir to traditional watchmaking techniques, but highly contemporary in its design and finishes, the work of the skeleton reduces mechanics to the essential for the splendor of translucency. 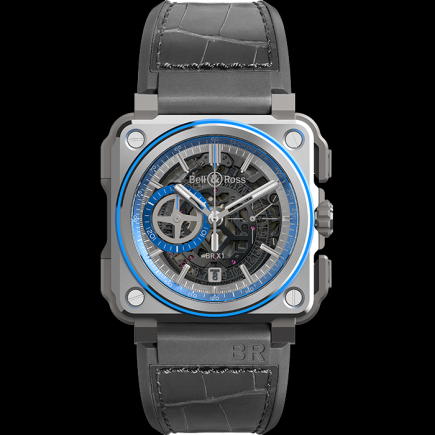 This exceptional watch, launched in a limited edition of 8 pieces, is made from 5 sapphire blocks that were carefully carved before assembling them accurately and delicately with screws. 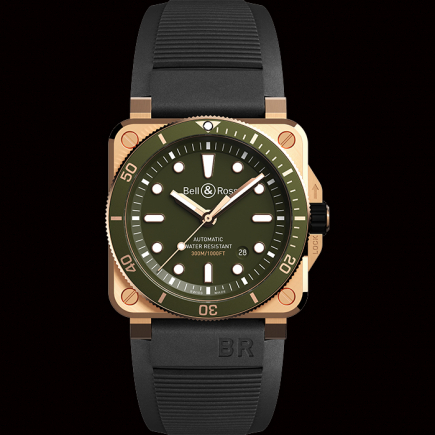 It combines the fundamental codes of the brand with the greatest technical and aesthetic refinement. 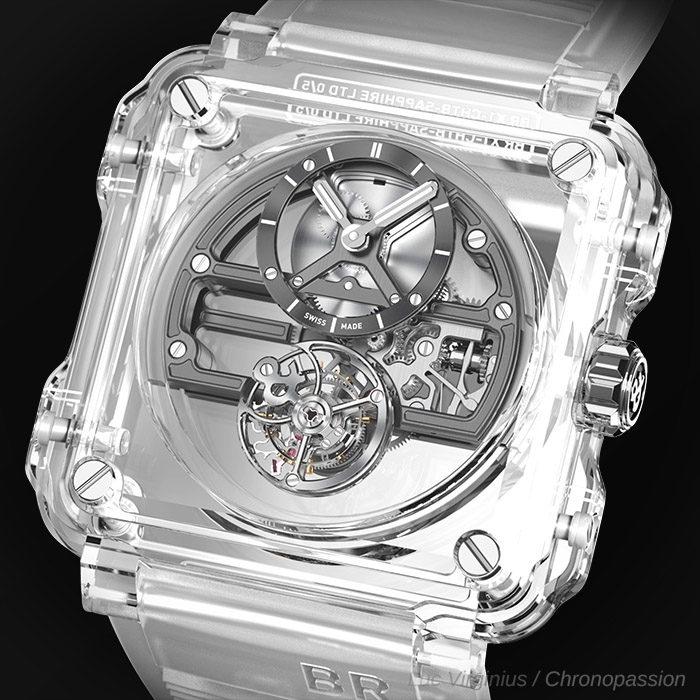 The BR-X1 SKELETON TOURBILLON SAPPHIRE succeeds in unveiling the secrets of time. Functions: hours and minutes. Flying tourbillon at 6 o'clock. Strap: translucent rubber. Case: 45mm in diameter. Sapphire. 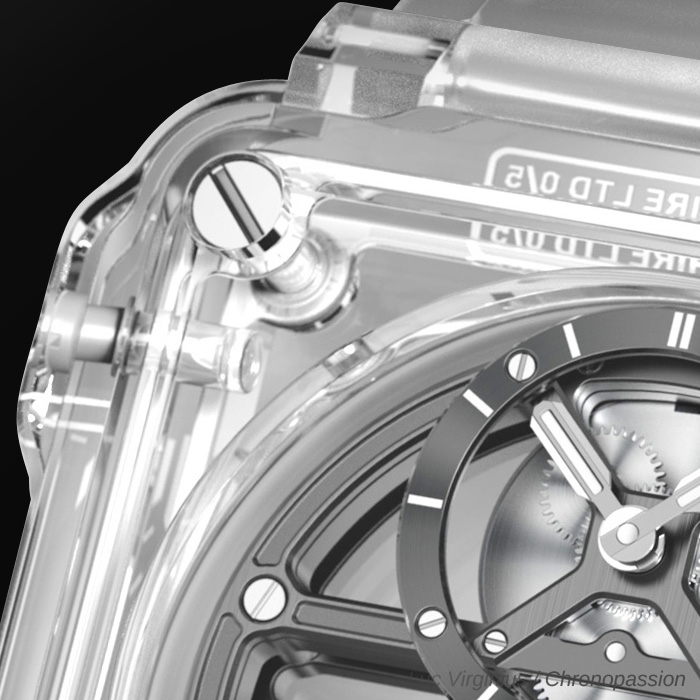 skeleton Superluminova®-filled hour and minutes hands.